Outreach International is a worldwide body of believers who share a God-given calling to be a true expression of Him in this world. In obedience to that calling, we are committed to live in love with God and one another. 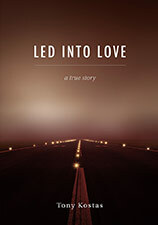 In 1970, at the age of 28, God gave Tony Kostas a most unexpected direction, sending him from his home in Melbourne, Australia, to Moscow, Russia, on an incredible seven-month journey of faith and love.